Hello, you, and welcome to my gleaming, newly designed site. PRO: It looks nicer than the old one and is much easier for me to update. CON: My old news feed proved a mite too tricksy for me to migrate over, so rather than individually replicating each post one-by-one, I'm just going to just call it, and have a fresh clean start over here. Time for some new news I say! The biggest thing you should know is that I have a sparkly new podcast called The Witch Wave which launched in October. The first four episodes are up, with bewitching guests Bri Luna, Kristen Sollee, Shannon Taggart, and Dia Dynasty. This show is a complete joy to make, and I'm grateful to those of you who have been listening and spreading the word. 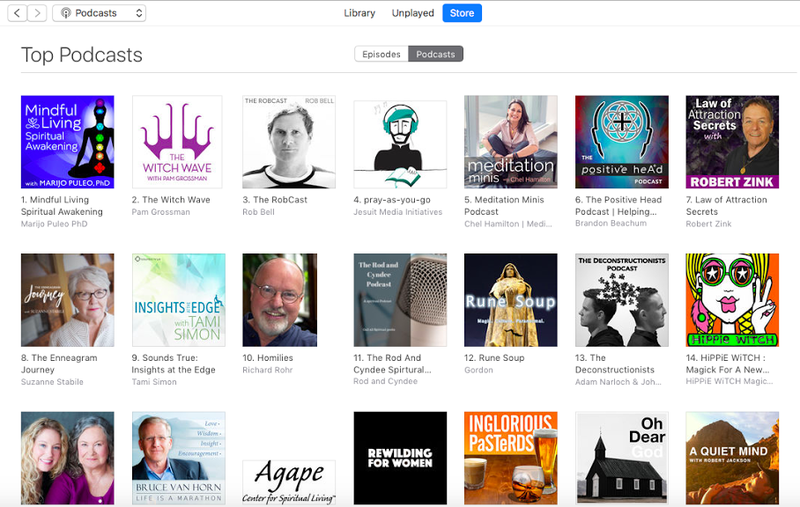 Thrilled that it hit #2 in the Spirituality column on iTunes - THANK YOU! If you dig the podcast, please take a moment to give it a shiny rating – it makes a huge difference in the algorithm and helps more people find the show. In other news, I was just the subject of this lovely profile on Sanctuary. It features the photography of Sylvie Rosokoff, whose work is on this site as well. Have a look!